Product code: ES972 Categories: Sold Items, Sold Rings. 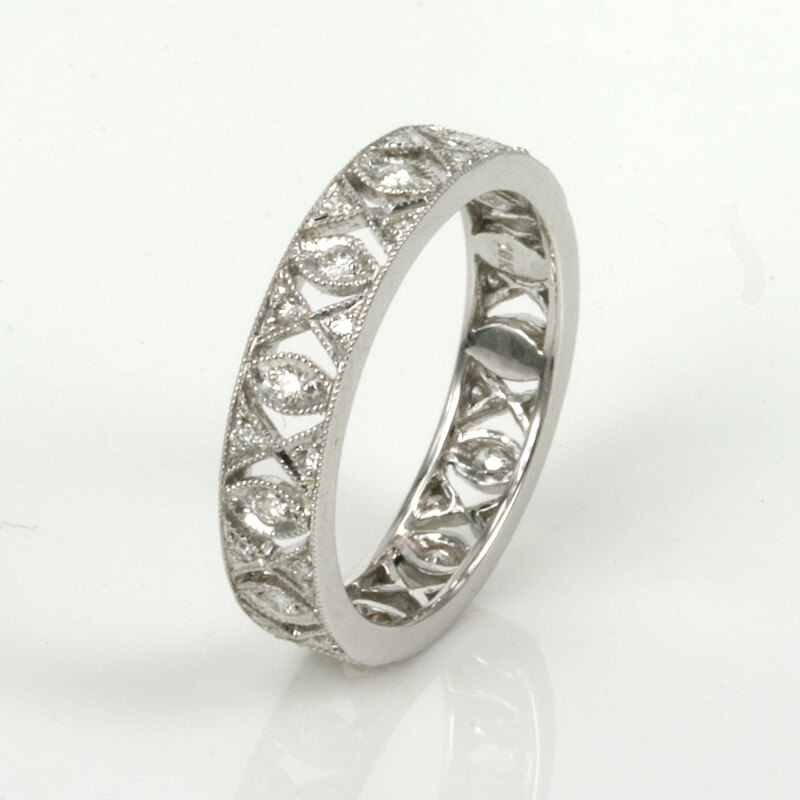 Made in 18ct white gold is this very elegant and stylish diamond eternity band that looks so good either on its own or alongside a diamond engagement ring. This diamond eternity is different to most in its very attractive design of having one diamond then a series of two diamonds in a elegant design. The ring measures 4.3mm wide and is a size “M” and this ring can be ordered to different sizes including in yellow and rose gold as well as in platinum – prices upon request for different sizes and metals. In total there are 39 round brilliant cut diamonds and they are F in colour and Vs to Si in clarity and have a total diamond weight of 0.32 carats. On its own or with another ring this diamond eternity will always be loved and admired.